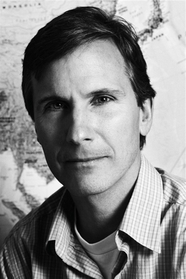 John Pomfret is a reporter for The Washington Post and the author of Chinese Lessons: Five Classmates and the Story of the New China. Formerly the Post’s Beijing bureau chief, he is now the Los Angeles bureau chief. In 2003, Pomfret was awarded the Osborn Elliott Prize for Excellence in Asian Journalism by the Asia Society, an annual award for best coverage of Asia. He lives with his wife and family in Los Angeles. A video introduction to The Beautiful Country and the Middle Kingdom: America and China, 1776 to the Present by John Pomfret.